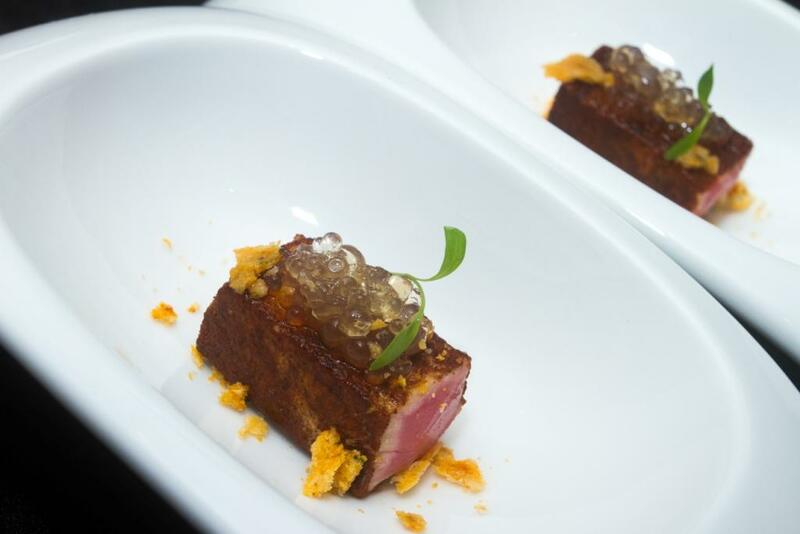 Go Beyond Gourmet with Molecular Gastronomy at Secrets Maroma Beach! Secrets Maroma Beach Riviera Cancun is proud to present our Fusion restaurant inside the World Café! 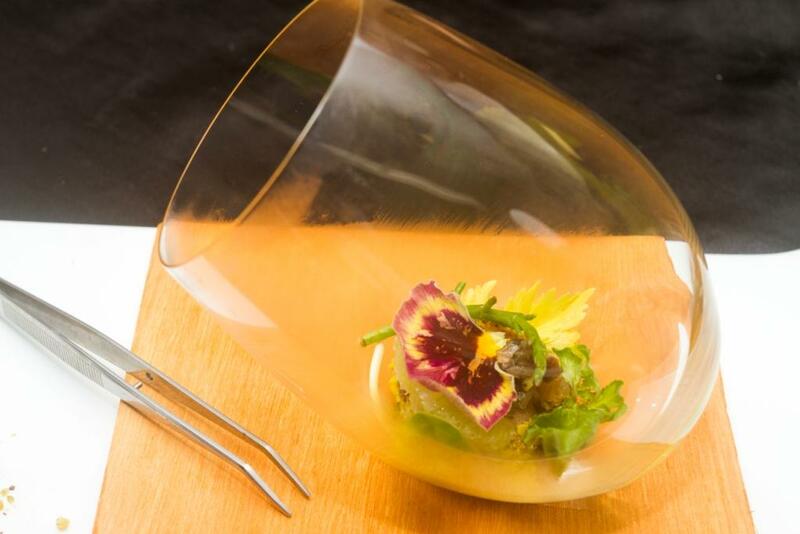 Fusion offers an exciting menu that utilizes “Molecular Gastronomy,” or the application of science to culinary practice. Take your taste buds on at adventure at Secrets Maroma Beach Riviera Cancun’s Fusion restaurant. Our Executive Chef believes cooking is an art which can be constantly improved. Molecular cuisine is a variant of food science that uses new tools, ingredients and preparation methods. In our hotel we already have a wide variety of flavors and are always innovating to delight our guests. We thought it was time to offer them a truly innovative culinary experience. Secrets Maroma Beach Riviera Cancun’s Fusion restaurant serves up incredible and often unexpected flavor combinations. The experience at Fusion begins with the welcome cocktail, a drink also prepared with modern techniques, and continues with eight courses served as petit portions that include seafood, vegetables, fish, meat, soup, Carpaccio, foie gras intermezzo, desserts and so much more. Guests will encounter foods and textures they’ve never imagined, such as tomato ice cream, which may sound peculiar but is truly a delight! Our chef says his favorite dish would have to be the the Chilean Sea Bass with artichoke cream and foie gras reduction. Welcome cocktails at Secrets Maroma Beach Riviera Cancun’s Fusion restaurant. 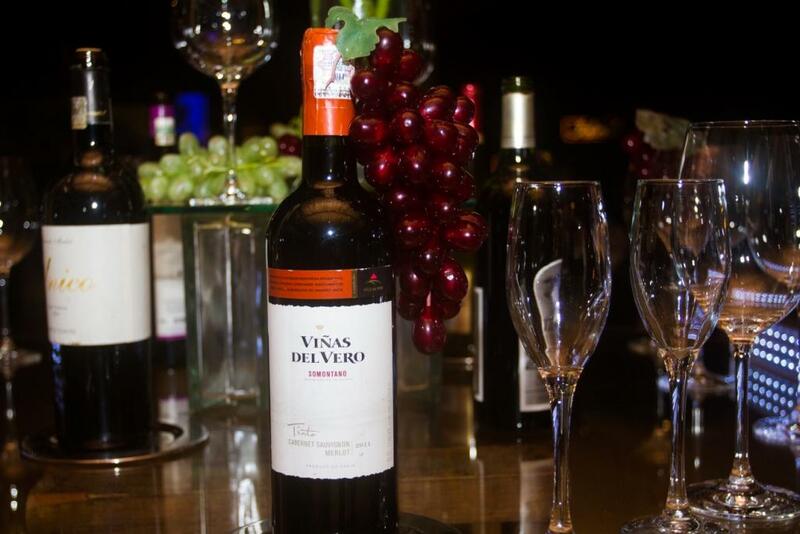 We recommend for all guests to enhance their experience at Fusion by experimenting with wine pairing. There are five types of wines included along with Moet & Chandon Brut champagne. 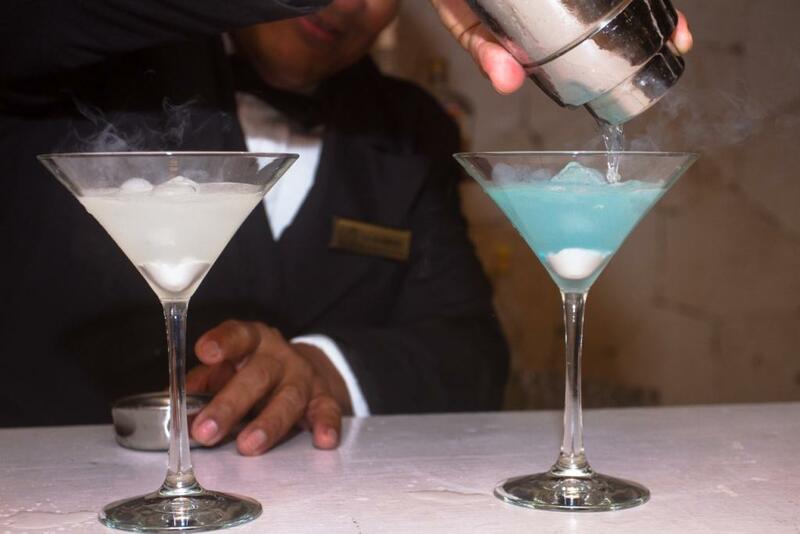 Each pairing is expertly selected by our sommeliers and executive chefs. Complete your experience at Secrets Maroma Beach Riviera Cancun’s Fusion restaurant with expertly-paired wines. We invite all our guests to visit the Fusion Restaurant to experience the height of contemporary cuisine. Come see what everyone has been talking about at Secrets Maroma Beach Riviera Cancun! This entry was posted in Secrets Maroma Beach, Secrets Resorts & Spas and tagged all-inclusive, beach, cuisine, gourmet, Maroma Beach, mexico, molecular gastronomy, Riviera Cancun, secrets resorts, vacation, wine pairing. Bookmark the permalink.